Welcome to GO BIKE ISRAEL. We specialize in quality mountain bike trips throughout Israel for organized groups and individuals. With hundreds of kilometers of routes to choose from, we provide exclusive trip packages and a unique touring experience with well marked and beautifully arranged single track routes and bike trails for all levels of mountain bike cyclists. Israel has recently become an acknowledged hot spot for cyclist holidays. The accelerated development of this sport in Israel combined with the land’s geographical advantages,namely a rich variety of landscape features in a relatively small space, has made the country a genuine superpower in terms of bike trips. The local climate is also conducive to the outdoor sport, especially during wintertime. When all of Europe is covered in snow, the rolling landscape in Israel is covered in magnificent wild-flower carpets from the very north right down to Eilat. Cyclists can also make use of the numerous bike shops located throughout the country, in which they can find the latest equipment at reasonable prices. GO BIKE ISRAEL offers personally organized packages specifically designed to meet the needs of cyclists. Such trips can consist of one-day outings and can also be planned for ten days or more. The routes are designed and prepared by an experienced and professional cyclist. Trip packages include all necessary arrangements such as accommodations, catering, on-call mechanics, tour guides and more.The rich history of Israel adds spice to the routes with landscape gems, sacred sites and captivatingfolklore, all ensuring the cyclists unforgettable experiences from the Holy Land. Please contact us for any questions you might have and we will be happy to answer and assist in any way. 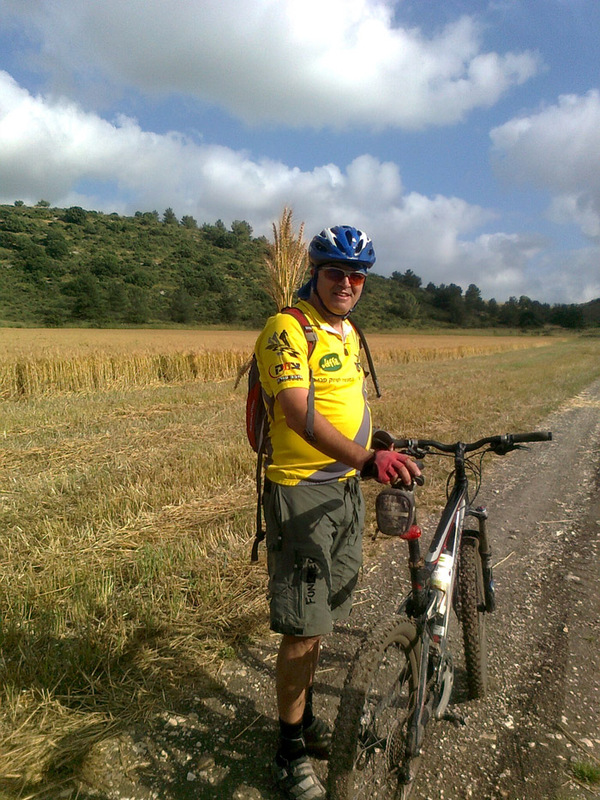 My name is Eyal Ofek and I have been a mountain bike specialist in Israel for over 30 years. I am a certified tour guide and a very experienced MTB rider. I have accumulated many years of guiding organized tours throughout the country (and in Europe). My “extra-curricular” activities include cheese making and creating exotic home-made jams! I am fluent in Hebrew, Arabic and English, the three main languages in use in our country. Please feel free to contact me personally and I will be happy to supply more information and answer any questions you may have!